Residential Roofing Which Roofer is Best? 21 Jan Residential Roofing – Which Roofer is Best? Residential Roofing – Which roofer is best? MidSouth Construction is a local roofing company headquartered in Nashville, TN. We understand that there are so many roofers to choose from in the Middle Tennessee are are continuously committed to remaining the top rated roofing company in our area! Our project managers are focused on providing exceptional customer service and making sure that they understand your specific roofing needs and communicate effectively with you to meet those needs. Your roof will be installed with exceptional workmanship backed by our solid reputation, as well as GAF Roofing Manufacturers! As a Certified Master Elite Roofing Contractor, we have achieved a level obtained by less than two percent of all roofers nationwide! This means that not only cn you trust MidSouth Construction Roofing Contrators to installed a top quality roofing system, but you cant rust GAF who has endorsed our standard of excellent in workmanship and roofing knowledge. Residential Roofing in Nashville and Middle TN! Midsouth Construction has become the top rated roofing company in the Nashville and surrounding middle TN area by providing each and every customer peace of mind! It is our goal to make your residential roofing project as stress-free as possible for the individual homeowner! If your roof has storm damage we can work with your to ensure your insurance claim is handled properly! At MidSouth Construction we are not only roofers, but our staff includes licensed public adjusters who are familiar with the language of insurance! Our project managers are well vesed in the language of insurance and skilled in the xactimate estimating software! This makes your insurance claim a breeze when you work with our team of professionals. We also provide competitive out of pocket estimates for roof replacements or roof repairs that are not covered by insurance. If your home is located in Middle TN we’ve worked with homeowners in your area! Residential roofing in Nashville and Middle TN is the foundation of our company! Short on cash? We can help with that too! We offer numerous roof financing options to help you with financing your insurance deductible or full purchase price for an out of pocket roof replacement! With various inuterest rates and terms, there is a financing option for your roofing project that will fit your budget and your needs! Call us today for a free roof inspection or estimate for your roofing services needs! Let us show you why MidSouth Construction Roofing Contractors is Nashville‘s top rated roofer by homeowners just like you! Check out of Google Reviews and A+ Rating with the Nashville BBB! Your roof is the first layer of defense for your home’s interior. Your home is your family’s safe place, your haven against the outside elements. Give us a call today and our family will ensure that your family is well protected and treated fairly! If you can dream it, we can install it! MidSouth Construction Roofing Company is certified to repair, replace or install all types of roofing! Designer shingles, slate roofs, tile roofs, wood shake roofing, composite shingles, architectural shingles, metal roofing including ribbed panel metal roofs, standing seam metal roofs, or metal tile roofs! You can always contact us through out website at RoofingByMidsouth.com, chat with us online or call us at 615-712-8893! We sincerely appreciate the opportunity to earn your business! 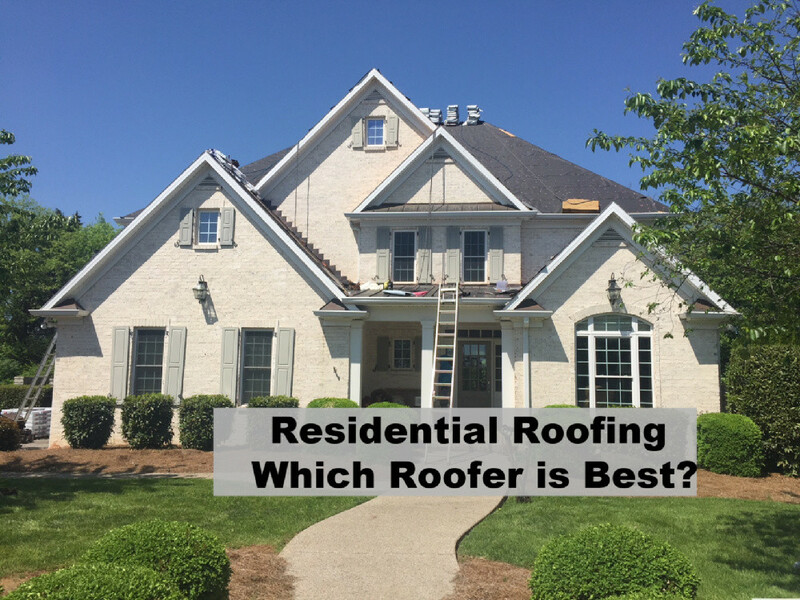 Residential roofing which roofer is best in Nashville and Middle TN? MidSouth Construction is the top rated roofing company in Nashville and the Middle TN area. Certified in all types roofing including metal roofing and shingles.